Find your foal with us ! Whether you are an enthusiast of horseback riding or just love good things, our service will be useful. Our activity is to find you the best foal that will become your confidant, and maybe even to lead you to victory. We offer you through this site to visit our catalogs so that you find what corresponds to your taste in terms of horsemanship. How to choose your foal? Choosing a colt is a difficult task, but it should not be done at random. To facilitate your choice and thus not be disappointed, the best is always to base yourself on criteria. Admittedly, because of their youth, foals have no characteristic of particularity or specific quality. However, not all foals are the same, especially on the outside appearance. One of the criteria for choosing these young animals is color. When you face a catalog featuring different foals, to make your choice easier, the first thing to do is to find out which colors you prefer. If you intend to compete with your pet, you must choose the breed. If you are a horse lover, you will surely know which race to choose. However, for people who do not know much about riding, the help of our advisors could be very helpful. Our team is made up of experts in horses. They will know what to advise you if you have difficulty making your choice. 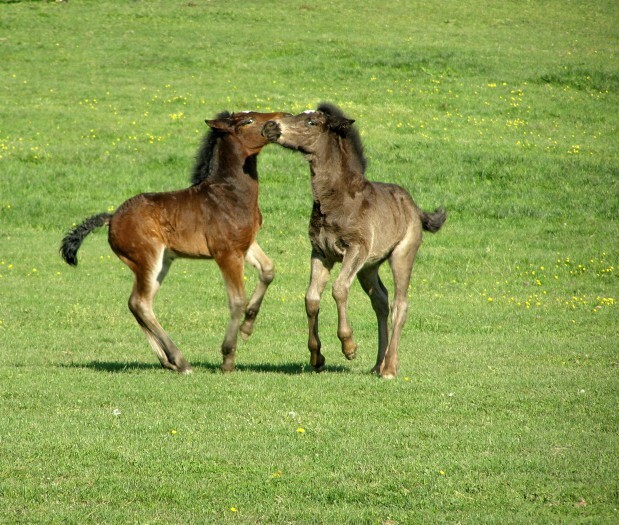 Moreover, our catalog consists of a multitude of foals coming from all over the planet. You find local breeds, but also breeds coming from elsewhere. There is for all tastes. On the question of color, you will undoubtedly find what suits you. If you have no criteria for your choice, we will take care to find you the best foal for you. Especially since we can find you what will match your criteria if you have any, even if it is not in our catalog. In this case, professionals from our team will look for you elsewhere. How to be sure that your horse is happy ? Ride a horse is not that complicated! Where to find a great range of saddle accessories?